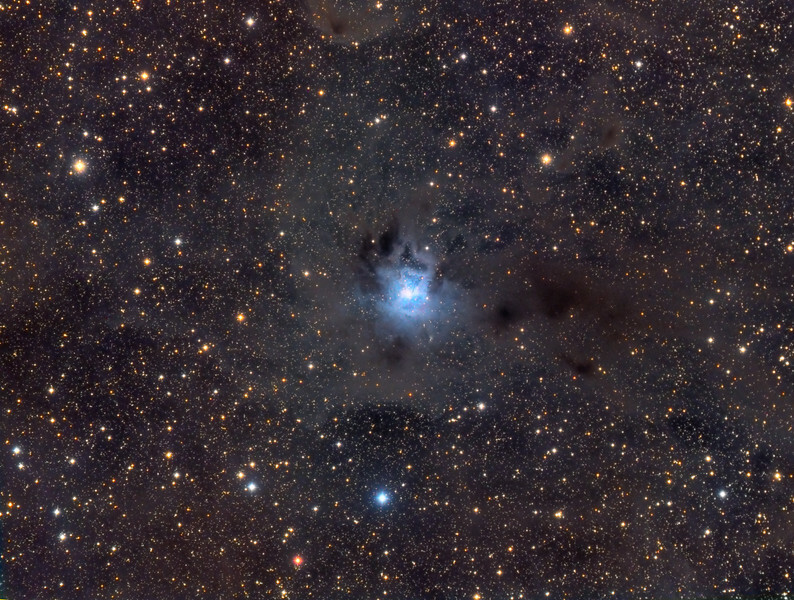 The Iris Nebula, also NGC 7023 is a bright reflection nebula and Caldwell object in the constellation Cepheus. The pretty blue petals of the Iris Nebula span about six light-years. The colourful field-of-view stretches almost five Full Moons across the sky.